This development brings closer the blockchain implementation processes to regular individuals through a more conversant user interface, the app. Transparency and the ability for stored data to remain eternally immutable are some of blockchain qualities that set it apart as an exceptional piece of technology. The application of these qualities in storing and tracking data on decentralized ledgers appears as one of the key aspects where blockchain is increasingly finding implementation. Prior to this time, renowned Anglo American diamond unit, De Beers had embarked on the implementation of blockchain processes towards effective provenance of the identity of its precious stones. The process aims at tracking gems each time they change hands, starting from when they are dug out of the ground. The controversy surrounding precious stones, especially diamonds is no secret even at a global level. Cases of theft and socio-political consequences that exist in the jewelry industry, especially as it concerns diamonds is a well known phenomenon. Illegal mining which is rampant in conflict zones has been identified as a serious issue with regards to financing violence in what today is popularly known as “blood diamond”. In order to track and prevent such global vices, measures that prove the sources and identity of precious stones, and the real-time confirmation of ownership has become essential. Despite the initial efforts towards using blockchain to solve this perennial problem, introducing a familiar avenue for regular users to access such services surely represents a huge step towards a lasting solution. 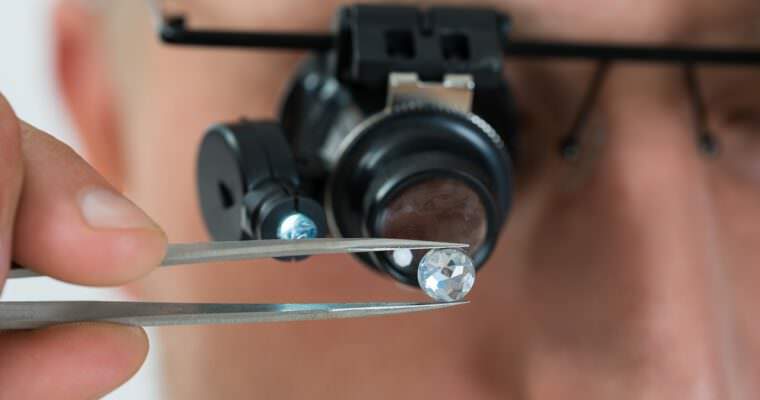 This initiative by Chow Tai Fook will see diamonds sold in its T Mark-branded stores “graded” for customers, by the respected Gemological Institute of America (GIA), a non-profit industry research body. Besides theft and illegal sourcing of diamonds, dubious acts that involve passing off synthetic materials as original stuff is a practice that De Beers has been involved in fighting prior to this time. The establishment also focuses on selling technology across the industry to help prevent anyone trying to pass off synthetic stones as natural, while working with the rest of the industry and governments to support the Kimberley Process set up in 2003 to increase transparency and eliminate trade in conflict diamonds. Consumer confidence is an important factor in any kind of business, it is even a more crucial factor in exclusive industries like jewelries and precious stones. Being able to prove the origin and authenticity of an item certainly introduces the industry to an era of “fresh air”. However, making such services easily accessible via familiar user interfaces like apps is indeed a monumental step for the industry. Blockchain technology offers numerous implementation opportunities. However, its ability to enhance transparency and provenance it a quality that will be appreciated across various ecosystems in the coming years.